Time to replace the chat headset that came with your console? 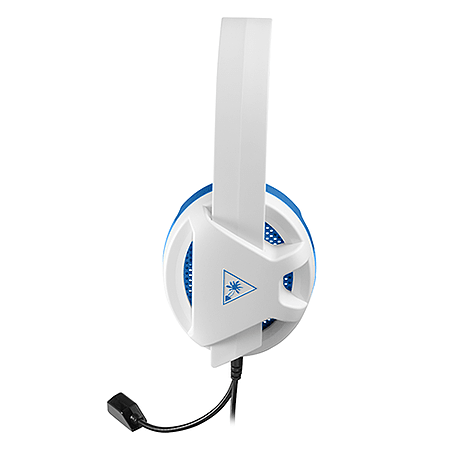 Then it’s time to get more for your money with the Turtle Beach Recon Chat White headset for PlayStation 4. 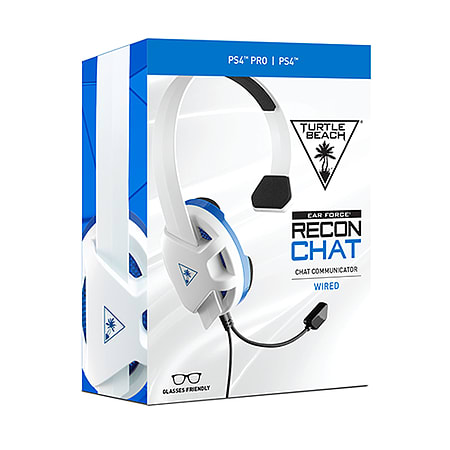 The Recon Chat is lightweight and reversible, and features Turtle Beach’s SpecsFit glasses friendly over-ear design with a unique open earcup that lets you hear game audio from the TV or home entertainment system. A high-sensitivity mic ensures your every command is heard loud and clear while the high-quality 40mm speaker delivers chat audio from other players. 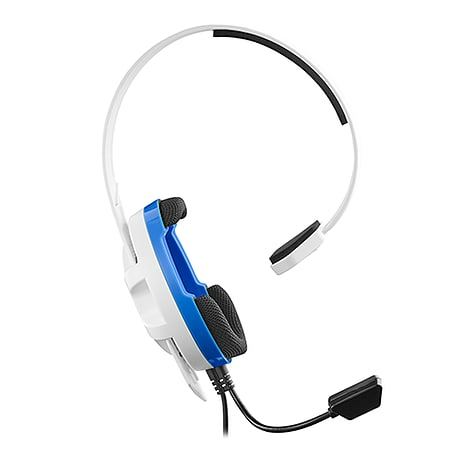 The Recon Chat easily connects to the PS4 controller via the 3.5mm jack, and convenient in-line controls place Mic Mute and Chat Volume at your fingertips. Versatile Compatibility – Works great with PS4™ controllers, as well as with Xbox One controllers with a 3.5mm headset jack, and mobile/tablet devices with a 3.5mm connection. 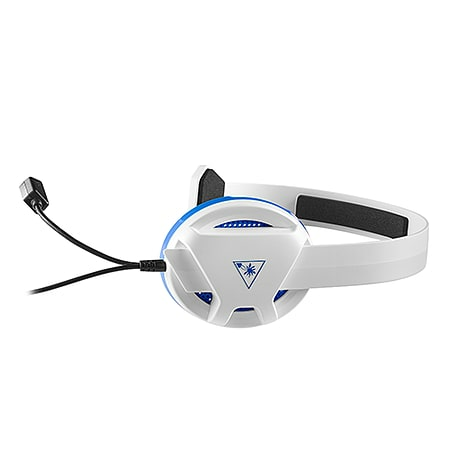 Unique Open Earcup – Hear game audio from the TV or home entertainment system in both ears (in stereo), while hearing chat audio through the headset. Glasses Friendly – Comfortably wear both your glasses and headset thanks to Turtle Beach’s innovative SpecsFit™ glasses avoidance zone. High-Quality 40mm Speaker – A high-quality 40mm over-ear speaker delivers crystal clear chat audio. Crystal Clear Chat – Turtle Beach’s renowned high-sensitivity mic picks up your voice loud and clear. Lightweight & Comfortable – Play for hours in complete comfort.